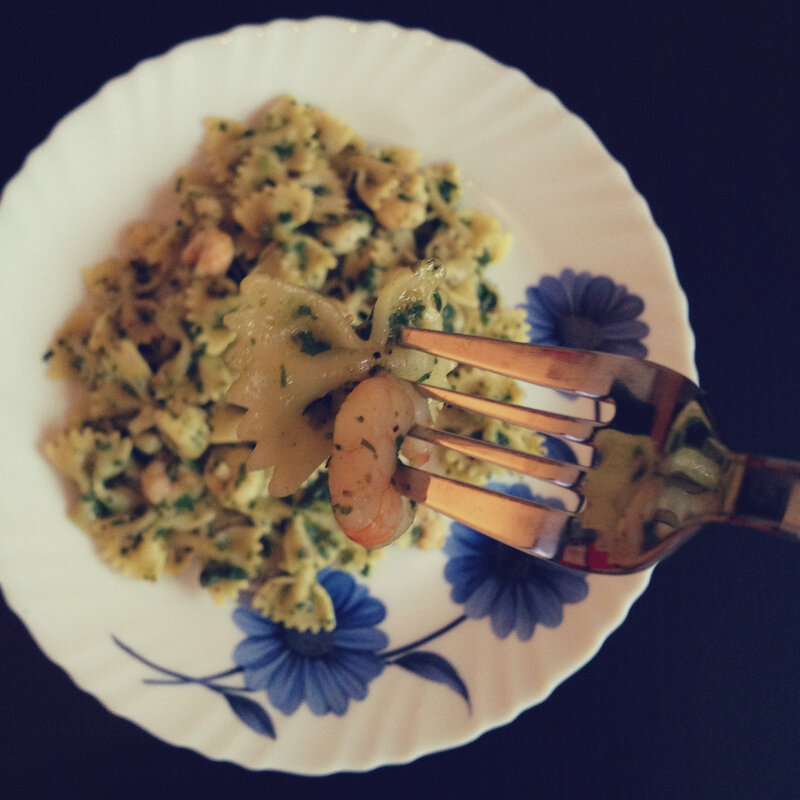 This shrimp-spinach-pesto pasta is just that. A toss-together of the ingredients mentioned along with a bit of seasoning and, of course, a lot of love. Drain and keep pasta aside. Save a little of the pasta water. Lightly fry the shrimps in a little butter or oil. Add the pasta, spinach and pesto and mix well while on the stove. I used some frozen spinach that was lying around in the freezer, frankly mainly because I wanted to add some greens to this recipe. Green is the way to go! I also used store-bought green pesto but it would be just as easy & delicious with red pesto or a home-made version, too. Yet to try my hand at home-made pesto myself… You can add a bit of the saved up pasta water if the food looks too dry. Remove from heat. Taste and season with salt & pepper to your liking. Serve and eat up! Thanks Alice! Pretty simple too, right? It is but delicious and beautiful,too! Thank you for stopping by and liking the blog! Mu husband only likes the pesto pasta..this is perfect for my first try! Thanks for dropping by.